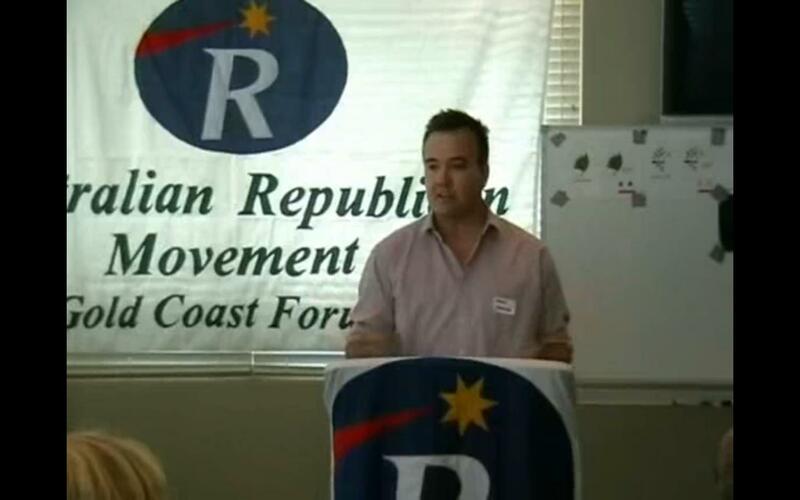 The time for an Australian Republic is now, said IA managing editor David Donovan in a speech made today at the Queensland Parliament House, where he presented a detailed case for an Australian Republic. It is a privilege to be able to present the case for an Australian Republic at this Schools Constitutional Convention; but before I do, I would like to acknowledge and honour the traditional owners of this land. I first want to talk about what a Republic is — because people have been talking about Australia becoming a Republic more or less since the First Fleet sailed into Botany Bay — yet still many Australians are not sure what it’s all about. So, what is a Republic? A Republic is a democratic nation in which the highest public office is held not by a monarch, who inherits the position by birth, but instead by a citizen chosen on merit. What a Republic is not about, despite many people’s misconceptions, is trashing our heritage, or our traditions and institutions, or our system of courts and laws, or our parliamentary system. It is also not about having a United States style executive president and becoming just like America. A Republic is a nation without an hereditary monarch — how we arrange the rest is up to us. And we don’t necessarily need to change our flag. Australia could change the flag and not become a Republic, like Canada, or become a Republic and keep the same flag, like Fiji. And also, if you love watching royal weddings on TV and enjoy all the “pomp and ceremony”— you can still do that after we become a Republic — the Americans and Germans most certainly do. Now, onto the core reasons for an Australian Republic. First of all, an Australian Republic is about the Australian people being unambiguously sovereign in a fully and truly independent Australian nation. Itrepresents the final step in our nation’s journey to full independence and nationhood. The fact is, Australia did not become a fully independent and sovereign nation in 1901 at Federation. Australia was, and still is, defined as a “self-governing colony” under s8 of the Australian Constitution Act 1900 — an Act of the British (not the Australian) Parliament. Under our colonial Constitution, Britain retained the power to make laws for Australia, and to overturn laws made by the Australian Parliament. Slowly, over the course of the 20th century, Australia has gradually moved away from Britain and taken charge of its own affairs. For instance, Australia didn’t take high command of its armed forces until the 1940s in WW2. Until 1968, Australians travelling overseas carried “British Passports”. And, until 1986, Australia’s highest Court of Appeal was the Privy Council, sitting in far-off Westminster, UK. Even though these days Australia is certainly a functionally independent nation, under our Constitution a foreign monarch still stands at the apex of our system and is our formal head of state. Indeed, the Queen has far reaching powers under the Australia Constitution – including being able to disallow any law we pass within a year – which, by convention she declines to exercise. The Queen still appoints and dismisses her Australian representative, the Governor General — though she does this on the advice of the Australian prime minister, also by convention. We need break the umbilical cord still tying us, after all these years, to the mother country. Until we do that, our nation’s birth is incomplete. The second core reason for Australia to become a Republic is that the system of monarchy is inequitable and unfair. When most people think of Australia, they think of our love of democracy, and of equality, and of our spirit of a “fair go”. It is jarring, therefore, that Australian citizens are subjects of a foreign monarch. A monarch who is selected not through merit, but by a lottery of birth — with people of the Catholic faith being specifically excluded. This is a system so discriminatory, it wouldn’t be allowed under Australian law — yet it is how we select our head of state. How can we tell young Australians, like you, that our society is set up to reward hard work and talent, and with diligence and tenacity you can get anywhere in life — anywhere except the top job, which is reserved for the firstborn non-Catholic from a certain, extremely highly privileged, English family. Hereditary monarchy is out of step with commonly accepted Australian values. The numerous arguments against a republic are almost always based on faulty information, or are designed to reinforce people’s existing misconceptions. Let’s look at the main ones. Sometimes, astronomical figures are bandied about for how much it would cost to become a republic. The truth is: the cost to change to a republic would be minimal. There would be no requirement to instantly rebrand all Government stationery, buildings and equipment — this would happen gradually, over time. Governments are constantly changing signs, logos and branding — and new coins and notes are also produced every day, by simply changing the dies at the Mint. The truth is, almost the entire cost of a Republic would come from holding the public vote, which is – when you think about it – simply part of the cost of running a democracy — a blessing that is worth every cent. You sometimes also hear people say that Republics are all failed states — Zimbabwe is often mentioned. This is nonsense. There are a great many very successful republics — such as the USA, Germany, Brazil, Austria, France, Ireland, India, Italy, Switzerland and many, many, others. In fact, the majority of the world’s nations are Republics. Indeed, being in a monarchy is no guarantee of stability — the ongoing civil war in Northern Ireland is a sad testament to that. On the other hand, turning this page on our colonial past will help make Australia a stronger and more cohesive nation. Our colonial Constitution emphasises our British heritage and ignores the other strands of Australian culture — our important Indigenous and ethnic heritage. A Republic will help bind all these groups into becoming a single people — Australians all. As a true people, we will no longer been seen by other nations as just a British colonial offshoot — or South Pacific poms. This will help us engage and gain the trust of other countries in the Asian region — a region that is fast becoming the centre of the commercial and geo-political world. Some say that becoming a Republic means we will no longer have Britain to defend us. This is silly. Since WW2, the USA has been our dominant strategic defence ally — not Britain. Britain will still be an important friend and ally after we become a Republic. Some say Australia would be expelled from the Commonwealth by becoming a Republic, and not be able to compete in the Commonwealth Games. In fact, 32 of the 53 nations competing at the last Games in Delhi were Republics — including the host nation, India. Australia will compete in the Commonwealth Games for as long as it wants — whether as a Republic or otherwise. Some say we should delay becoming a republic until the Queen dies or abdicates, or the global financial crisis is over, or until all the other important issues facing Australia have been dealt with. As we all know, tomorrow never comes. An Australian Republic is about us — not the Queen, Prince Charles or the world economy. We should do it now, without delay. You often hear people say about the Republic: 'if it ain't broke, don't fix it'. This is a simple and effective mantra — because it asks nothing of us. It is just an appeal to laziness. “Don’t worry about it,” it says, “she’ll be right, mate”. This little phrase sells our nation short. 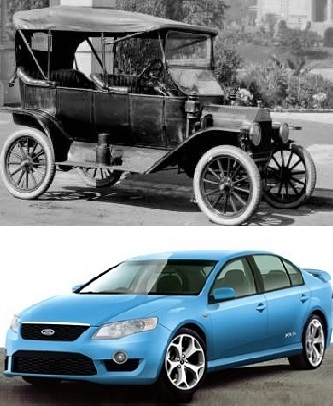 If it held true, we’d all still be driving around in Model T Ford motor cars rather than our modern vehicles. Yes, the Constitution still ticks along, but that doesn’t mean it’s the one we should be “driving around in”. It is a slightly startling fact that just about the only thing the attendees at the 1898 Constitutional Convention all agreed on was the White Australia Policy — or, “Australia for the white man”. This idea is, indeed, written into our Constitution in several places. Times have changed, thankfully, and we have different values and ideals than we did back then. We have, of course, amended our Constitution eight times to reflect the changes in our society, including in 1967 to recognise Indigenous Australians as people. Our Constitution may still be chugging along, but it needs, more than ever, to be upgraded to reflect the modern independent multicultural nation we are today. Lastly, monarchists often say the ARM does not have a “model” for a republic. In fact, the ARM does have a framework. The ARM says Australia should have an independent Constitution, unconnected to any British legislation, where the Head of State is a resident Australian citizen who has powers similar to the current Governor-General and can only be dismissed by a vote of Federal Parliament. It also specifies that all references to the monarchy should be removed from the Constitution. What the ARM does not stipulate is a selection method for the Head of State. We say the Australian people should decide how they want to select their Head of State – not have this decision foisted upon them by the ARM. There are many selection methods that would work in a Republic — our policy is to let the people vote for the one they want. That’s democracy. Australians are clever enough to turn the page on our colonial past — and we are strong enough to stand on our own two feet as a fully and truly independent nation. A strong and united people whose head of state is selected in a fair and democratic way — not because of their bloodline. Now, 111 years after Federation, it is time for Australia to finally join the world of nations as a full equal, unshackled to any other. Our time has come. It is time for Australia to become a Republic.